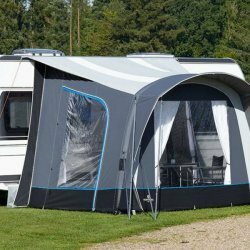 The optional Ventura Air Annex can be fitted to either side offering additional space. Well-known Isabella materials and unique features creates the best posible outdoor adventure. 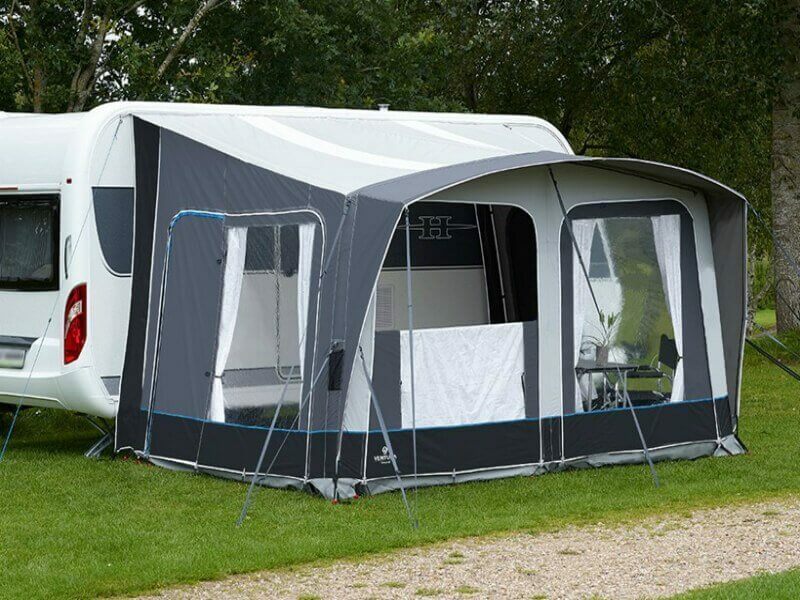 The draught excluder Air tube connects the porch to the caravan effortlessly and the small front canopy creates a very spacious feel to the Ventura Air Trinus. Support poles and advanced air system make the Ventura Air Trinus very stable and reliable as your true travel companion. 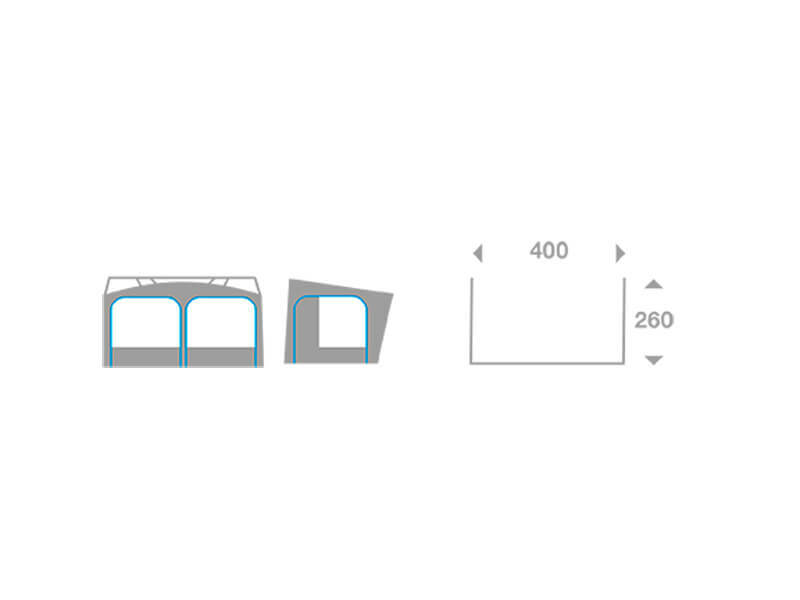 Details: Removable front and side panels, light panels in roof, curtains and curtain poles, Draught excluder with Air tube, Advanced Air System, veranda pole,reflective guy straps, doors with ventilation net, attachment solution for LED strips, pockets for guy straps, fitted with 2 beading diameter options, double air pump, alu rear leg poles, canopy fiber pole.